A Boomer's Guide to Eldercare: Eldercare Resource: 'Nancy's Lifts' does more than give rides to seniors. Eldercare Resource: 'Nancy's Lifts' does more than give rides to seniors. Nancy Balin owns a business, to be specific, a transportation network company. It's called Nancy's Lifts. She drives seniors and others to places they need to go: doctor's offices and hair stylists, meetings and outings. And even to the airport. Many of her clients are debating on whether to give up driving altogether or to adapt to a new lifestyle that requires minimal driving, so they are relieved to have as an alternative a safe, known driver like Nancy. There's more to this story: a year ago Nancy worked as a lawyer while heading a fledgling not-for-profit organization called Family Jewels Foundation. Its mission was to save young men's lives by alerting them to the symptoms of testicular cancer, the number one cancer in the 15 to 44 age group. Nancy had been personally affected when her 20-year-old son died of the disease. Early detection likely would have saved his life. Speaking about testicular cancer and fundraising for her foundation takes lots of time. So Nancy retired from the lawyering and launched the driving business, to help pay the bills. First she passed an extensive defensive driving course, got her business license and met the other state requirements. 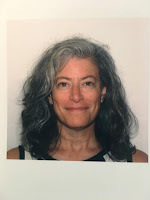 Why do her clients--seniors and others--choose her? Nancy has lived in the Bothell/Woodinville area--her main service area--for over 15 years. She is well acquainted with Western Washington. "I'm local. I know how to navigate. I speak English well, and I have references," she says. "I have elderly parents. So I treat my senior passengers like I'm driving with my parents." That means reminding them about packing the C-Pap Machine, their ID and their medications. It means Nancy putting the belongings and luggage into the car herself. It may mean pulling the walker out of the trunk and escorting the senior into the doctor's office instead of dropping them off at the curb. Often her passengers will ask her about the rest of her life, and she says, "I'm doing this to help me be able to save young men's lives." She often asks people, 'Do you have any males in your life ages 15 to 44 whom you care about?' Many of them do." So Nancy educates them about testicular cancer, in the hopes that their families won’t have to suffer the way hers has. Nancy is giving seniors and others a lift while working to save the lives of young men. 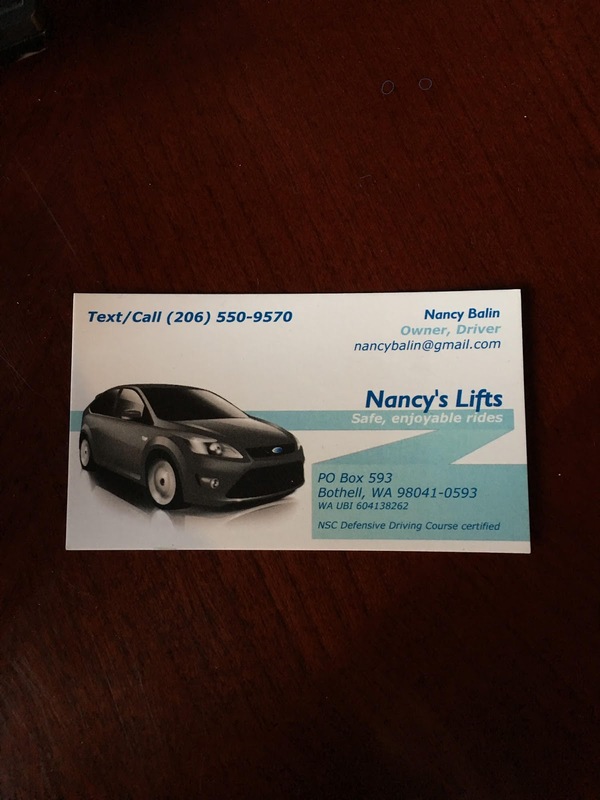 For more information about Nancy's Lifts, call 206-550-9570.